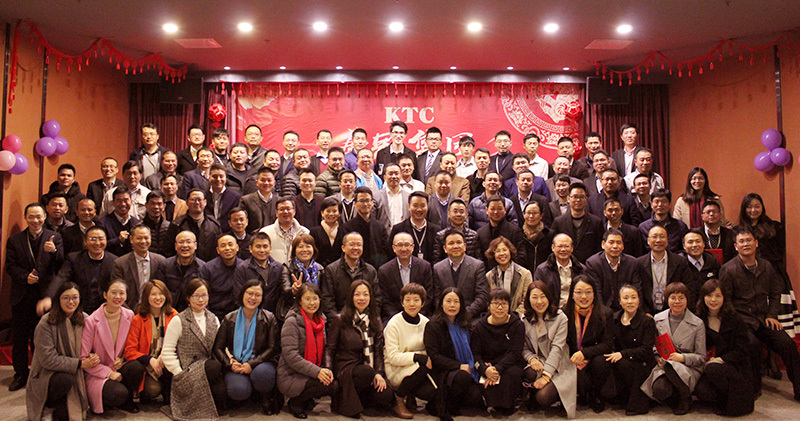 The 2017 annual work summary and award ceremony of KTC Group came to a successful conclusion on Huinan factory in February 2nd. At the ceremony, Ling Bin, chairman and president Li Yubin summarized the work of the Group in 2017 and made clear the Group's development plan for 2018. At the same time a number of outstanding staff were commended. In the 2017 annual assessment, Manager Wu Jialie won the special contribution award; manager Jiang Wei and Zhou Chuntao received excellent manager award respectively; five annual outstanding executives are: Luo Di,Cai Yongfu,Shu Min,Chen Yanling,Chen Li;15 annual outstanding staffs are: Chen Wenfeng,Zhong Zhengyong,Li Zhenqiang,Liu Feng,Liang Jinying,Wan Zhixiong,Li Chuangye,Luo Hao,Tan bo,Xiao Bing,Li Shanghai,Li Youdong,Chen Binger,Jiang Daqian. Chairman Ling Bin expressed sincere thanks to the annual outstanding employees for their hard work and dedication of the group, encouraged all staff to continue to carry forward the spirit of dedication and the courage to break through and be pragmatic, pioneering and innovative, making the cause of the group bigger and stronger!